Is your perfect partner a Monster 29er or a Burly Downhill Bike needing some TLC on long journeys to romantic destinations such as Morzine? 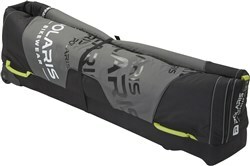 Then Polaris' new Axial Pod is your perfect travel companion. Its technical hybrid construction and strong lightweight moulded EVA base ensure your beloved bike makes it to your desired destination ready to ride. 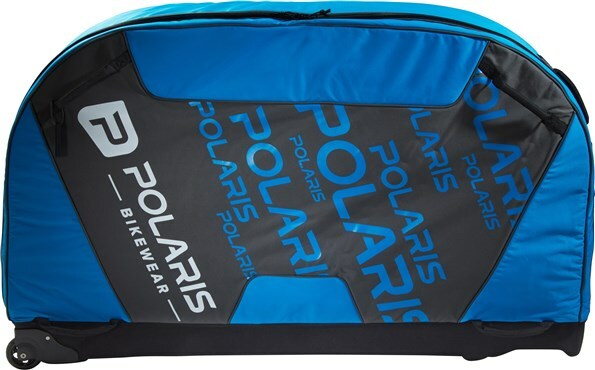 Removable strengthening bars means it packs flat into its EVA Base for storage meaning no matter where you are you have no excuse not to protect your bike. 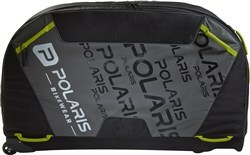 Used this bag to get my Yeti SB6 to Madeira and back. 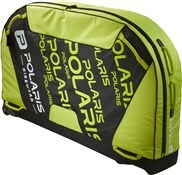 The bike and bike gear all fitted in the bag and survived the baggage handlers. Thanks Tredz.. Bought with money off has made me a happy customer.. Bag looks to be very sturdy and perfect for my specialized Status II. Bike fits well and loads of space for spares and DH kit.. the extra supports to help hold the shape work well and its easy to drag along with the handles.. 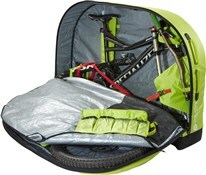 Cool looking and perfect for the job of transporting bikes. I even tried my 29er and that also fit perfectly.